Mr. Ruzinsky attended University of Akron and graduated in 1984 with a Construction Engineering Degree. He spent the first 10 years of his career working for a full service Mechanical Contracting Firm in Columbus, Ohio. 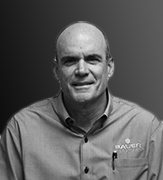 He joined Sauer in 1999 as Division Manager of the Southeast office of Sauer Group. Mike is responsible for overall leadership and oversight of the Southeast office, which works for a wide variety of commercial, industrial, and institutional clients. 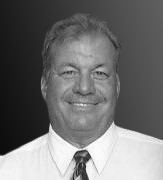 Jeff Smith is the Division Manager of Sauer Group, Inc.’s Cape Mechanical office. 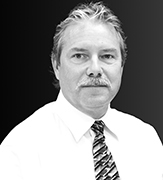 Jeff has been in the mechanical and plumbing industry for over 30 years and has extensive experience in design-build, renovation and commercial construction projects, as well as Federal projects for the Mechanical and Aerospace industries. Jeff has a Bachelor’s degree in Mechanical Engineering, holds a State of Florida Mechanical Contractor’s License, and is a Certified Healthcare Constructor. Additionally, Jeff currently serves as a member of Local 295’s Joint Apprenticeship Training Committee where he is active in helping to educate our young workforce, in addition to serving as a member of the Labor Relations Committee. Tom Mitchell graduated from the University of Florida in 1979 with a Bachelor of Science Degree in Building Construction. Tom spent the first 20 years of his career working for a large General Contracting firm where he ascended to Operation Manager for the West Coast of Florida performing over $150 million dollars of work annually. The next 12 years he joined a structural and miscellaneous steel fabricator and erector as a Vice President – General Manager. The firm fabricated and erected projects ranging in sizes from $ 500,000 to over $15 million. 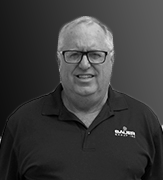 Tom joined Sauer Group in 2011 as General Manager overseeing the overall management of their Structural Steel Division. Sauer Group Structural specializes in highly complex fabrication and erection projects for the Aerospace and Industrial industries.